Second sultan of Anatolian Seljuk’s (B. 1079 - D. 1107, Habur). He is the second son of Kutalmişoğlu Süleyman, founder of the first Turkish state in Anatolia. He is buried in Silvan, Diyarbakir. Kılıçaslan has fought heroically in the battle at Habur River in July 1107, but he lost the battle. He was drowned and died as he tried to pass the Habur River. His dead body was taken and buried in the tomb built by Atabeyi Mehmed Bey in Meyyafarkin (Silvan). Famous historian Ibnul Erzak from Silvan says that this tomb is named Kubbetü's- Sultan and many other Turkish important figures and Kılıçaslan's daughter Saide Hatun (1130) were also buried in here. Then the surroundings of the tomb have expanded and was called Sultan Neighborhood. Today there are no trails of the tomb or the Sultan Neighborhood. 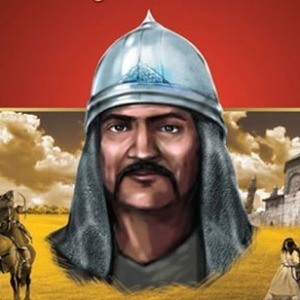 When his father lost the battle against the big Seljuk army commanded by Tacettin Tutuş in Syria, killed himself in 1086.He remained in Isfahan until 1092 where he was taken as the prisoner of Melikşah with his brother Davut. He has received a fine education there and rose with Turkish-Islamic manners. After the death of Melikşah, he returned to Anatolia. In 1092, with the approval of Great Seljuk Sultan Berkyaruk, he came to Anatolia and ascended the Turkish Seljuk State throne, which was empty for six years. When Kılıçaslan declared his enthronement in Iznik; he was under the threat of Byzantium and other Turkish chiefdoms in Anatolia. He sent an army and took over Balikesir and Kapidağ from Byzantium; and he settled the Turcoman families he brought from eastern provinces around Iznik, establishing the unity in Anatolia again. He has constructed Iznik into a government center. When the Byzantium armies have started to invade the Marmara shores; he made a deal with Caka Bey, who was in ruling the Aegean shores and some Aegean islands, and started to struggle with them. A big army sent by Emperor Alexios against the Turkish forces through the sea was defeated. The attacks of Byzantiums to Iznik were asided and they were sent out of Balıkesir and Kapidağ regions. 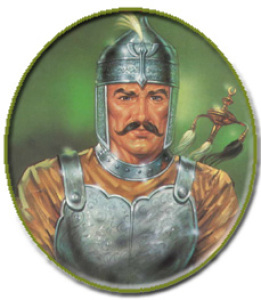 Kılıçaslan married to the daughter of Caka Bey and secured himself against the Byzantine. Byzantines tried to create conflict between Kılıçaslan and Caka Bey. Kılıçaslan had already began to act in order establish the Anatolian unity by collecting all the cities that have left the Anatolian Seljuks. He made a deal with Alezios Commanders within this context and get Caka Bey murdered (1094). He secured the Western borders, and then moved to Malatya where Danishmends wanted to invade and encircled the town (1095). But, the region was exposed to the invasions of Crusaders within this period. Crusades establish the most important phase of struggle between the "Crescent to Cross" and "West against the East". This lasted for centuries. This movement started as a result of religious, social and economic reasons and it was led by the Vatican church. Ignorant people were mobilized with the direction of Papacy, and a huge encirclement movement started against the Muslims. But, contrary to the arguments, holy lands were already visited by Christians and Muslims provided them great help and support. They had hospitals and accommodations for them in Palestine. They had churches, monasteries and libraries in the region. But the real reason of the Crusades was to wipe the Turks out of Anatolia, Syria, Palestine and Mediterranean in order to prevent their passage to Romalia. They could only achieve that if the Christian world acted together. Byzantium had the former role of defending the Cross against the Crescent; but it was no longer able to conduct this duty. Christian world therefore began the movement to conquer the holy land in order to protect themselves against the Turkish threat. As Kılıçaslan was about to conquer the Malatya castle, he was informed about the Crusades, so he lifted the encirclement and went back to Iznik. He was engaged in a battle at Hisaronu against the Crusaders who encircled Iznik. Both sides had many casualties as a result of the wars, many commanders of Crusaders were murdered. But the enemy had a continuous reinforcement. Kılıçaslan has realized that it would be very dangerous if this battle continued against the crowded enemy forces, so he had to withdraw his army. Iznik, the capital of Seljuks for almost 22 years, was captured by the Crusaders on June 29, 1097. After the loss of Iznik and First Crusades, Kılıçaslan has gathered the Anatolian Turks and made Konya the new capital. 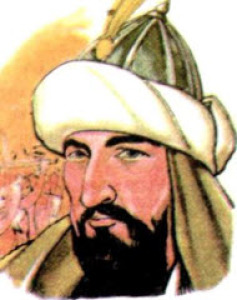 He attempted to conquer all the Islamic lands as the Great Seljuk Empire was dissolved. Then he made a deal with Danisment Gazi and Kayseri ruler Hasan Bey, and confronted the Crusaders in front of Eskisehir; but he could not stop their advancement. Crusaders have moved to Kayseri from one side and to Toros Mountains from another; and they achieved to reach Antioch via Kayseri-Goksun-Maras. Kılıçaslan had to move his government to Konya. By the end of century, the southern and western regions of Anatolia were conquered by Crusaders and northwestern part was under the rule of Byzantium. Also, Armenians wanted to establish an Armenian state in Cukurova region. Kılıçaslan had to stop the attacks of Byzantium and Crusadres; and also to settle the immigrating Turks. When the Seljuk commander Gumustigin deflated an army of Crusaders in 1100 and captured prince Bohemond and his cortege; a new Crusaders raid started. 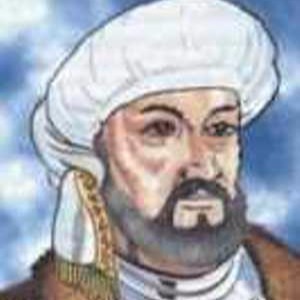 Kılıçaslan asked for help from Danisment chiefdom, Syrian Seljuk ruler Rıdvan and other Turkish chiefdoms. He destroyed the Crusaders army around Amasya. 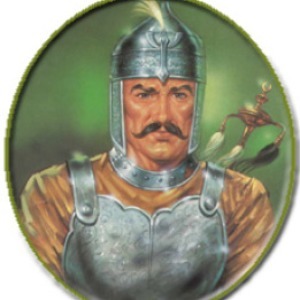 He saved Elbistan and Maras from the Crusaders in 1103 and defeated Danisment Gazi, with whom he had a problem. He captured Malatya from Danisment chiefdom in 1105. 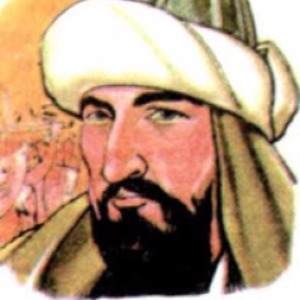 But these developments made Great Seljuk Sultan Muhammed Tapar concerned. When Cavlı Bey, the commander of Sultan Muhammed who was sent to Mosul, murdered Kılıç Aslan's commander Cokurmus Bey and started to torture the people of Mosul; they have called Kılıçaslan for help. He took some of his army and went to Mosul. He was welcomed in Mosul, but realized that many Mosul rulers were in favor of other side. He ignored his commanders Ersagun and Iltutmus's advises to return; he conquered Mosul in 1107. 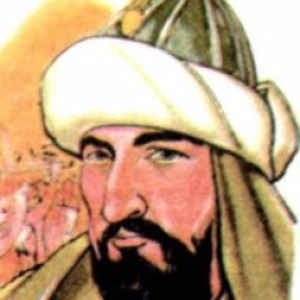 Then, he attempted to conquer all the Islamic lands as the Great Seljuk Empire was dissolved. But, Cavli, Ridvan and Artuklu Ilgazi made a deal and attacked Kılıçaslan. Kılıçaslan has fought heroically in the battle at Habur River in July 1107, but he lost the battle. He was drowned and died as he tried to pass the Habur River. His dead body was taken and buried in the tomb built by Atabeyi Mehmed Bey in Meyyafarkin (Silvan). I. Kılıçaslan ruled during the most depressed era of Turkish Seljuk State. After defeating the attacks of Byzantium to Iznik, he implemented a settlement policy and settled the Turks arriving from Khorasan in Anatolia; so he contributed a lot to the Turkification of Anatolia. Kılıçaslan was an organized statesman. He had superior command skills, a hero and a war veteran whose life was in struggle. He has caused casualties to the Crusaders and showed everyone that Turks cannot be expelled from the Anatolian lands. He made a lot of charity and gained the love of his people. He treated with justice and compassion to the Christians. The historians of that period have said "The death of Kılıçaslan caused sorrow for Anatolian Christians". 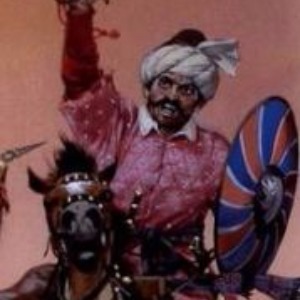 Kılıçaslan was known as a just, charitable and fearless ruler. After his death, the struggle among his sons has caused the Danisment and Byzantium to establish new plans in order to share the land of Anatolian Seljuks. REFERENCE: Büyük Larousse Sözlük ve Ansiklopedisi (s. 6692, 1986), Fazlı Konuş / Selçuklular Bibliyografyası (2006), Özden Süslü / Tasvirlere Göre Anadolu Selçuklu Kıyafetleri (1989), Ülker Erginsoy / Anadolu Selçuklu Mimari Süslemesi ve El Sanatları (1988), TDV İslam Ansiklopedisi (c. 25, s. 396, 2002), İhsan Işık / Ünlü Devlet Adamları (Türkiye Ünlüleri Ansiklopedisi, C. 1, 2013) - Encyclopedia of Turkey’s Famous People (2013).